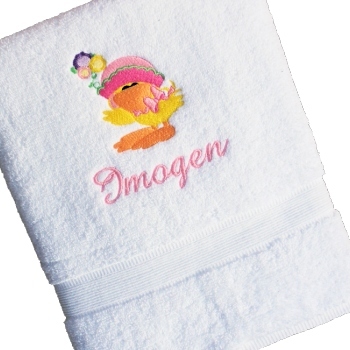 A girls embroidered bath towel is a lovely gift. Choose the embroidery design you like the best. Choose the Text. Bath size towel made from soft cotton. Your choice of towel colour too!